Breathe. Stretch. And relax to soothing music. These are just a few of the beautiful traits of yoga: one of the best exercises to balance the mind, body and soul in equilibrium and harmony. 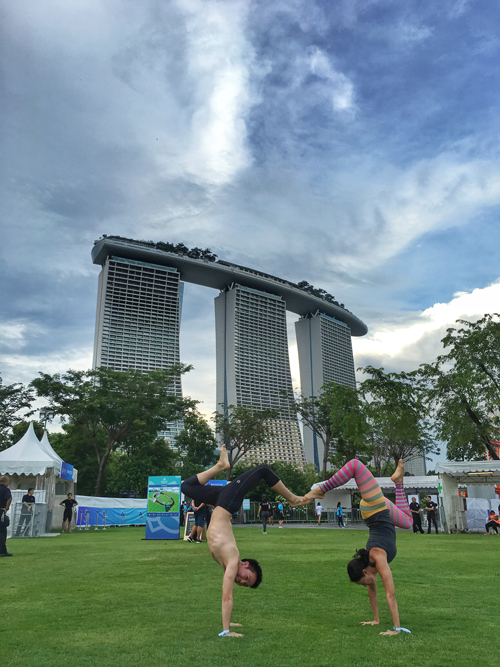 Over the weekend, Singapore celebrated a tropical outdoors yoga class along with live musical performances called BlissOut ‘15. 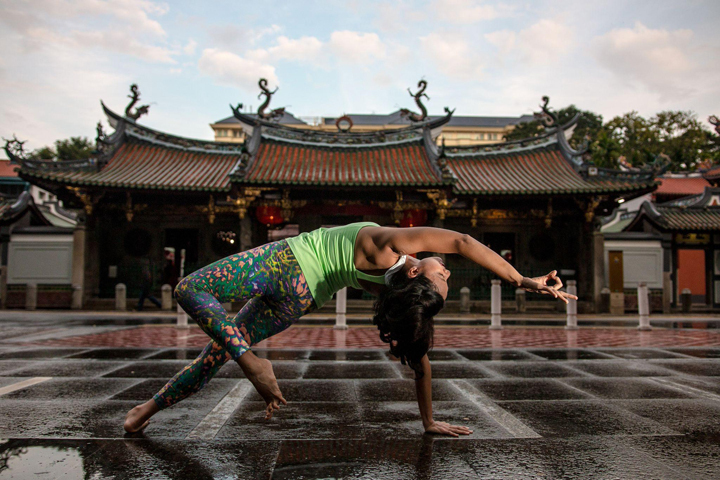 We were able to pop in a quick chat with yoga ambassador Selina, aka Señorita Yogini, on why and how yoga can be a beneficial asset to your life. Please introduce yourself and tell me what you’re wearing. Hi, I'm Selina aka Señorita Yogini and I'm a yoga addict! I'm wearing leggings by Ohsosom, a Singapore-based brand started by my friend. Aren't they gorgeous! Can you demonstrate or give advice on breathing techniques? In yoga, we move with the breath and breathe through the nose--deep inhales with the nose, smooth exhales also with the nose. Nasal breathing keeps the breath active, and helps to keep the mind focused. And the general rule of thumb is every inhalation is for expanding and lengthening of the body, while every exhalation is for contracting and grounding. How did you discover and get interested in yoga? A few years ago I stumbled across *the* Equinox video featuring Briohny Smyth, who is my yoga idol. The strength and grace demonstrated by her completely blew my mind, especially the parts where she was in arm balances and inversions. That marked the start of my obsession for defying gravity yoga style. What is the most positive and health empowering aspect of yoga? To me, the best thing about yoga is how it continually pushes our edges. The human mind and body is such an amazing thing that can do so much and yoga allows me to discover it slowly and at my own time. And when I do nail a certain pose that I've been working on for a while, the feeling of empowerment is truly out of this world. How often do you practice and what is your favourite style of yoga? I love dynamic, fast-paced movements so flow classes is my favourite style. I practice about 4-5 days a week, on top of teaching 15 classes weekly at Yoga Movement. What has been the highlight of the BlissOut Festival so far? Definitely the set-up against an amazing backdrop of Marina Bay Sands and the Singapore CBD. I also love the chill-out area with the hammocks... And the whole energy from all the yogis. Definite bliss for me!